Apply to the face with a cotton pad, gently wiping to remove makeup and other impurities. 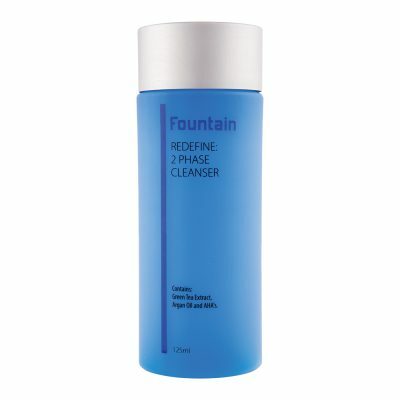 Redefine: 2 Phase Cleanser is suitable to be used morning and night. 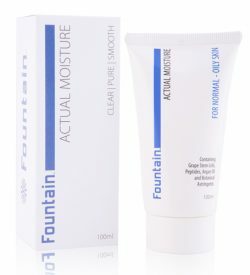 For best results, follow with your favourite Fountain moisturiser. 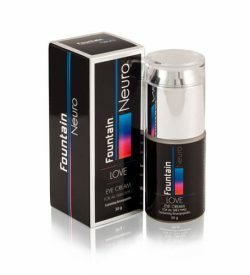 Repairing, firming and rejuvenating at the cellular level, improving the skin’s elasticity and reducing fine lines and wrinkles. Evening Primrose Oil helps to hydrate and smooth dry, dehydrated skin, reducing the appearance of redness and inflammation. Squalane helps to maintain healthy skin and has a hydrating and softening effect on the skin, helping to reduce the appearance of fine lines. Squalane is protective and minimizes trans-dermal water loss. Rich in Vitamin C, Rosehip Oil is beneficial in regenerating skin cells and assists in repairing dehydrated, prematurely aging and damaged skin. Rosehip Oil also improves the appearance of any facial scarring, improves skin elasticity and is moisturizing and softening. Rose Hip is also believed to strengthen capillaries and connective tissue. 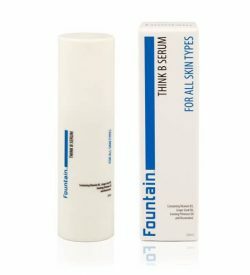 Skin Resurfacing Complex. 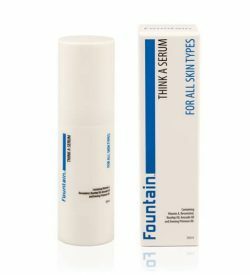 An advanced approach to skin resurfacing and exfoliation without the irritation associated with aggressive chemical peels. 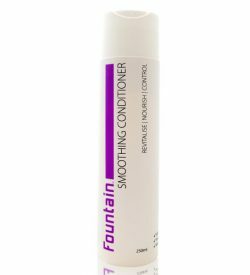 SRC diminishes the appearance of fine lines and removes dry, flaky skin. 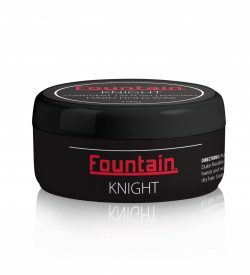 Actively refines and restores skin texture and radiance to skin without irritation. Easyliance is a biopolymer naturally produced by micro-organisms living in specific plant roots. 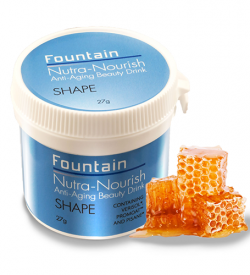 The polymer forms a matrix at the surface of the skin and whilst drying, it tights and smooths the skin. 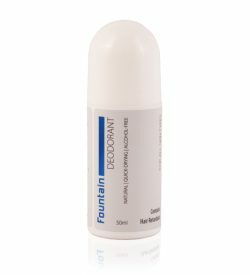 Easyliance has an immediate and visible lifting effect and provides smoother and younger looking skin within 5 minutes. According to sensory testing, 96% of panelists noticed a tightening effect with Easyliance. Aqua, Cetearyl Alcohol, Glycerin, Jojoba Esters, Squalane, Methyl Glucose Sesquistearate, Rosa Canina Fruit Oil, Lactic Acid, Methyl Gluceth-20, Oenothera Biennis (Evening Primrose) Oil, Steareth-21, Urea, Glyceryl Stearate, PEG-100 Stearate, Sodium Hydroxide, Acacia Senegal Gum, Hydrolysed Rhizobian Gum, Titanium Dioxide, Soy Amino Acids, Sodium PCA, Microcrystalline Cellulose, Malic Acid, Cellulose Gum, Citrus Aurantium Bergamia (Bergamot) Fruit Oil, PEG-20 Stearate, Yeast Extract, Citrus Aurantifolia (Lime) Oil, Citrus Medica Limonum (Lemon) Peel Oil, Geranium Maculatum Oil, Citrus Grandis (Grapefruit) Peel Oil, Jasminum Officinale (Jasmine) Flower Extract, Citrus Aurantium Dulcis (Orange) Peel Oil, Citrus Nobilis (Mandarin Orange) Peel Oil, Cananga Odorata Flower Oil, Ethylhexyl Glycerin, Caprylyl Glycol, Disodium EDTA, 1,2-Hexanediol, Phenoxyethanol.